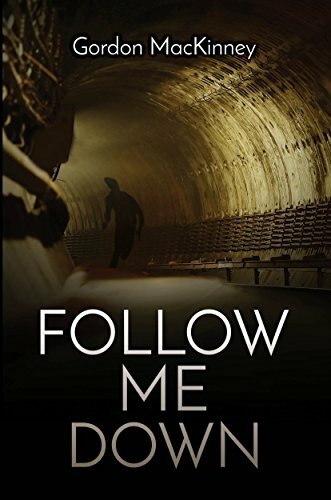 Follow Me Down is a thrilling novel that follows Lucas as he seeks justice for his family while uncovering corruption in the city’s largest real estate development company. What was your inspiration for this novel and the setup to the story? The never-used subway beneath Cincinnati is real—built during the Depression but abandoned and sealed up. I lived for years near Cincinnati, both scared and intrigued by ghosts beneath my feet. When I later learned about the “urban explorer” subculture, I HAD to write the story. One thing I really appreciated in this story was the authenticity of the relationships. What were some themes you wanted to capture while creating your characters? Observant readers will notice one consistent theme for the four main characters: the plight of the underdog. Lucas, suppressed by corporate corruption. Alfred Blumenfeld, put down by cruel social mores, and Tricia Blumenfeld too, unwilling to play the part of the “good girl.” And Reuben, victimized for being short and Jewish. These characters deserved a voice and a shot at justice. Lucas explores Cincinnati’s underground in this novel and the scenes were detailed and well developed. Why did you choose this setting for the novel? In the story, protagonist Lucas reflects on a childhood experience descending voluntarily into a well on his grandfather’s farm. That scene resembles my own childhood “adventure.” What urban explorers do is just damn cool, risking capture and physical dangers in very cool places. Also, the noblest among these modern-day adventurers respect and revere the places they infiltrate. I admire them. I find a problem in well-written novels, in that I always want there to be another book to keep the story going. Is there a second book planned? Thank you! While I’m finished with Lucas for now, two new stories are underway. The first fictionalizes a true 1980’s battle between an auto manufacturer and an underdog labor union. The second, set in small-town USA, explores the plight of another underdog, a young woman unjustly blamed for a deadly accident. Urban explorer Lucas Tremaine should buckle down and complete his Masters in Architecture, but the past torments him. Six years earlier, Drax Enterprises’ negligence killed his father and left his mother strung out on Valium. Lucas longs to punish the corrupt behemoth of Cincinnati real estate development, but what can one man do? “Plenty,” says old Mr. Blumenfeld, Lucas’s boss and a former photojournalist with too many secrets. Evidence to bury Drax exists, he claims, but to find it, Lucas must breach the city’s welded-shut subway system. Lucas takes the plunge, aided by his best friend and moral compass, Reuben Klein. The deeper the duo infiltrates the dangerous underground, the further back they turn the clock. They learn that Drax’s corruption intertwined with fascism’s rise in Germany. That campfire tales of a subway crypt were true. That no one can be trusted, not even Lucas’s boss. The Crooked Boundary is an intriguing story that slowly builds a crooked moral line between right and wrong. What was your inspiration for the setup of the story and how did that help you create the ending? The inspiration was a friend who built a house on the wrong block of land; resulting in a legal battle that ended with a rather hollow win for him. The description of the characters and their back stories are well developed. What is your experience with investing, websites, and real estate and how did you bring that into the novel? I have dabbled in real estate investing for many years. As for websites, my knowledge is rather limited. 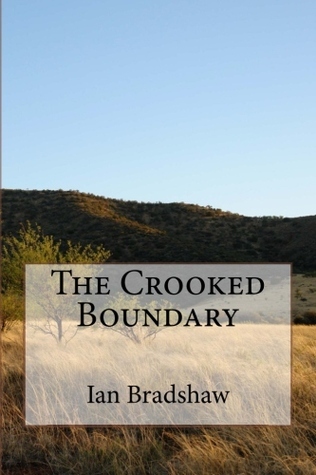 I think of The Crooked Boundary as a suspense story as well as a revenge story. Was it your intention to write this story in those genres? Yes, as it was not intended to be a “who dunnit” mystery novel, I combined those two genres. One of the main moral decisions in the novel is left up to a character named Cruz who I find to be an interesting person. What was your inspiration for that character and his role in the story? Just to have a colorful character who could be construed as the good guy in the story. Disgruntled investors who participated in class actions against the promoters of two failed dot-com companies in Australia and Brazil are left stunned when both actions are dismissed in the courts. The promoters then use the profits from their dubious business operations in the development of a country club and golf course in Tarabush, Australia. The project will be built on land purchased from their next door neighbor, Rex Whittaker, who lost money in the Australian dot-com company. Rex is a retired widower living alone; he befriends Cruz Bardot an information technology specialist who served in the Gulf War. Cruz is also the president of a dirt bike club located in bushland behind Rex’s property. When the only access bridge to the dirt bike club area is washed away in a flash flood, Rod and Cal, who are an eccentric pair of Vietnam vets and despite their age are dirt bike club members, go looking in the forest for another way to get to the dirt bike area. As they look for that alternative route they meet Rex for the first time, and unbeknown to everyone except Cruz, what comes out of that chance meeting creates what could be an opportunity for some of the investors to recoup part of their losses. It is now up to Cruz to decide what to do about it. The Crooked Boundary by Ian Bradshaw is a tale of the owners of two dot-com companies in Brazil and Australia that completely failed, causing investors to lose a great deal of money. The investors are so upset, they filed a class action suit against the owners. The owners then take the earning from those companies and being the development on a country club and golf course in Australia. Behind that property is a dirt bike course whose only access bridge becomes washed away in a storm. Two members of the club decide to go in search of an alternative route to the club in a nearby forest. There they meet Rex and Cruz. This chance meeting begins an opportunity for the previous investors of the failed dot-com companies to regain some of their losses. Mr. Ian Bradshaw writes with an authoritative and informative voice. He spends time building up the background of the dot-com companies as well as the owners. The settings are very descriptive and characters are complex. The flow and pacing of the story is conducive to the development of the characters. Mr. Bradshaw does a good job at developing the battle between the self interest of the owners and the high moral ground they choose to ignore. This conflict develops organically through dialogue and character interaction. He does a great job relating everything together without making it feel forced or unnatural. The story takes place in two of the most interesting and exotic places: Australia and Brazil, thus giving the story a remote feel to it. But with that said, sometimes there was so much description that some points needed to be reread as it seemed difficult to understand some of the wording. And there were some sections that were heavy in investment and business lingo. Otherwise, the author weaves an interesting tale of complex interpersonal relationships and shady business practices. A lot of things are happening at once in this story, or rather multiple stories that are all connected through the same cast of characters. Every step of the way, Bradshaw keeps his readers guessing and contemplating what will happen next. Every moment in the story is unpredictable building suspense in seemingly common interactions. The characters are completely unpredictable as well, just when you think you know how a certain character will react to a situation, they do something different. What I really enjoyed about this story is that it’s complete; there are no holes leaving me wondering what happened. There are many elements that go into making this an excellent story. Mr. Bradshaw draws on his experiences as a real estate investor for his novel. This is evident throughout the novel. He does a remarkable job at turning his own knowledge into a fascinating novel. I would recommend this novel not only to people who enjoy business and investment, but also those who enjoy a compelling novel with a unique style of suspense. What is the number one question that you get asked about buying a home? What’s my home worth and have you got any buyers? In Sold Above Market you mention ‘real estate agent speak’. What has been your experience with this lingo? 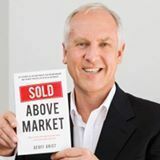 Real estate agents are notorious for using industry abbreviations and process names that may not be well known to sellers which fuels the mystery around selling so my book is designed to help educate sellers to make the process more transparent. Do you think it’s important to find a real estate agent, or do you think this is something people can do on their own? People will either have an agent in mind, often the one who sold them the home, or they won’t have a clue who to call so they need all the help they can get in finding the right agent not just the first agent they meet. What was your inspiration for writing a book about the home buying process? I find that the better educated sellers are about the process the smoother the whole transaction runs so my goal is to try and answer sellers questions before they even start which means they can make an informed decision about the right agent to sell for them.